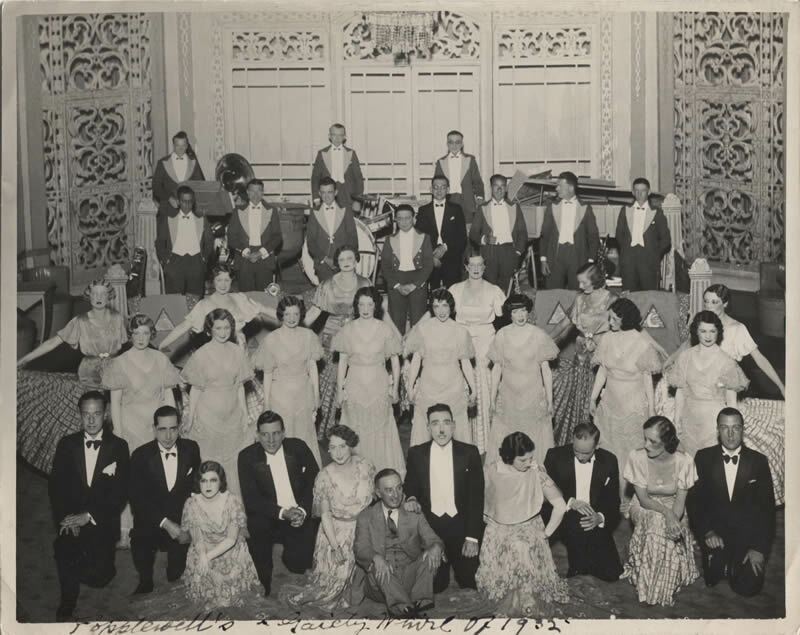 Music hall and variety have had a formative influence on Scottish theatre, shaping Scottish audiences’ tastes for an accessible, engaged style of theatre that is fast-paced and entertaining as well as dramatically compelling. Theatre makers responsible for some of the iconic hits of post-war Scottish theatre - from John McGrath’s The Cheviot, the Stag and the Black, Black Oil and Tony Roper’s The Steamie to the National Theatre of Scotland’s Black Watch - have all acknowledged the debt to music hall humour. 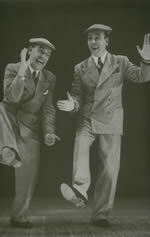 And performers such as Stanley Baxter, Rikki Fulton, Jack Milroy and Chic Murray – the last generation produced by variety, whose careers carried over into television - remain lodged in the national consciousness many years after their last appearances, their influence having permeated across many different types of theatre. How did this come about? 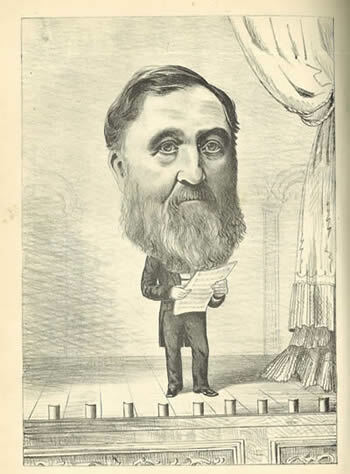 Music hall first developed in pubs and singing saloons across Britain in the 1840s and 1850s. 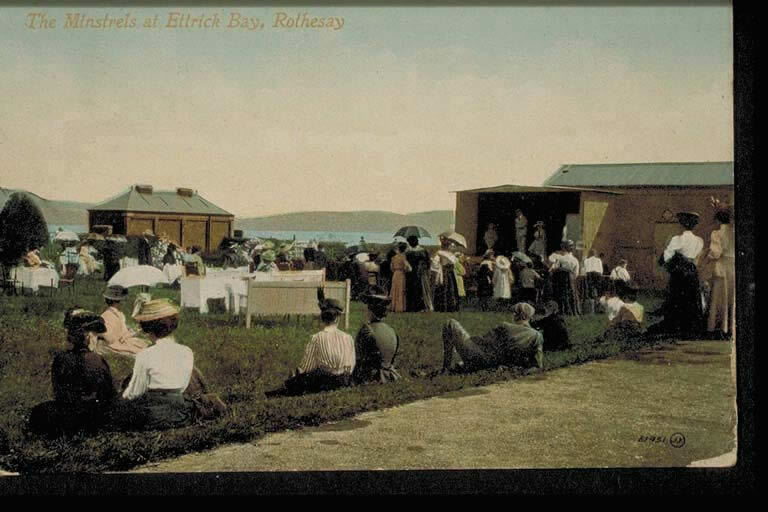 Its immediate precursor was what were called ‘free and easies’ – informal sessions held in rooms above pubs, hosted by a paid chairman, at which customers took turns singing songs, with everyone joining in with the choruses. 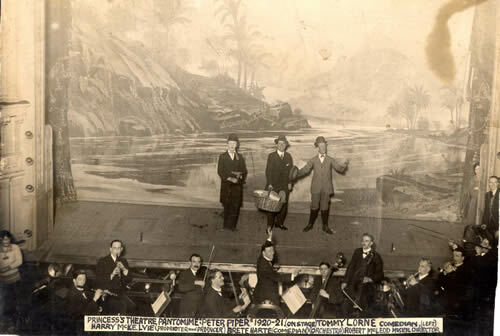 By the early 1850s the first expanded ‘pub’ music halls were emerging in Glasgow – Shearer’s Whitebait Concert Rooms in St Enoch’s Wynd, and Davie Brown’s Royal Music Hall in Dunlop Street, where one visitor found ‘the smoke was so dense you could not see the stage ‘til the clouds rolled over’. Within the decade audience demand was such that new and larger, purpose-build halls were opening, a surviving example being the Britannia (1859), in Glasgow’s Trongate. But although music hall was a wider British phenomenon, it was also everywhere local and regional in character, responsive to the preferences and tastes of local audiences: traditional Scots songs and music, the knockabout humour of the geggy theatres, comic scenes and characters from the National Drama, and favourite songs and poetry of Robert Burns. Reflecting this, early Scottish music hall stars came from a variety of backgrounds, some emerging from free and easies while others had been actors in pantomime or the national drama or, like James Lumsden and James Houston, were concert singers and recitalists who performed songs, sketches and readings. By the 1870s ‘no evening’s programme was considered complete without a Scots comic’. 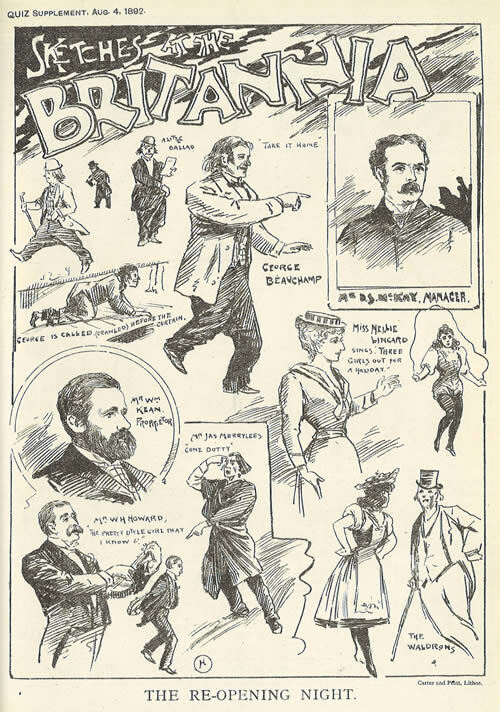 The ‘Scotch comics’ of the 1880s, such as Harry Linn, NC Bostock, JC Macdonald, RC McGill and WF Frame, belonged to the urban world of the working-class music hall, performing comic songs and character-based sketches in the urban Scots of their audiences. 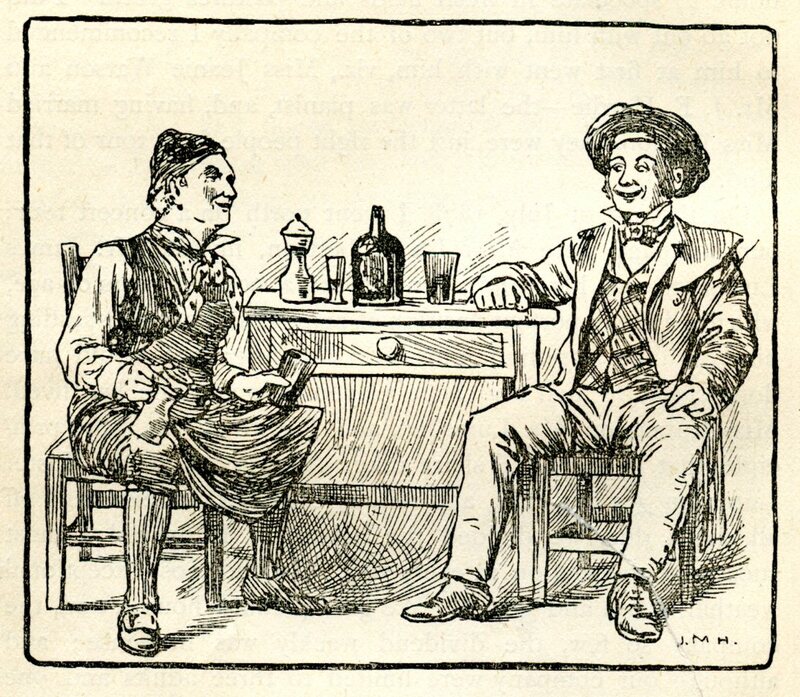 From the 1900s the term became increasingly identified with the pawky, kilted persona made famous by Harry Lauder, whose tartan performances and best-selling recordings proved enormously successful with audiences across North America, Australasia and South Africa. 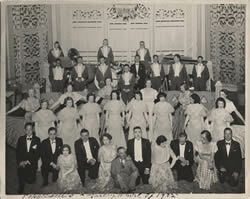 Music hall itself had also changed, as from the 1890s managers sought to distance it from its associations with drink and moral depravity by rebranding their entertainment as variety theatre and by building a new generation of super-venues – palaces of varieties - in city centre locations designed to attract middle class audiences: Glasgow’s new Empire Palace, opened in 1897, set the benchmark for palaces of varieties to come. 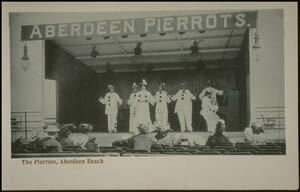 Venues such as Glasgow’s Pavilion (1904), Palace (1905) and Alhambra (1911) became city centre landmarks and defined variety’s place at the heart of the urban entertainment market. In the 1920s and 1930s a new generation of star comedians emerged to delight Scottish audiences with their patter and catchphrases: the gawky Glasgow droll Tommy Lorne, the Aberdonian ‘Laird of Inversnecky’ Harry Gordon, the character comedian Will Fyffe, ‘Scotland’s Gentleman’ Alec Finlay and the ‘Scottish Charlie Chaplin’ Dave Willis were all popular stars who became national figures, broadcasting on the BBC and recording extensively, appearing in films and drawing enormous audiences in variety and pantomime. 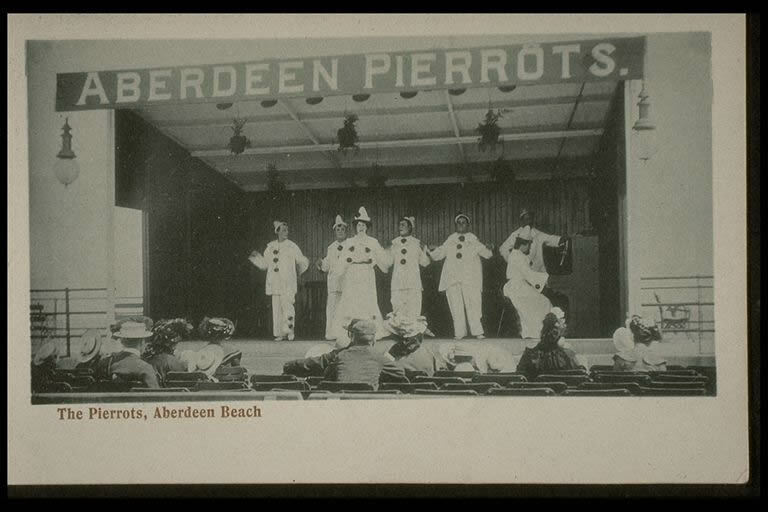 Minstrel and pierrot troupes were popular seaside attractions from the 1880s. 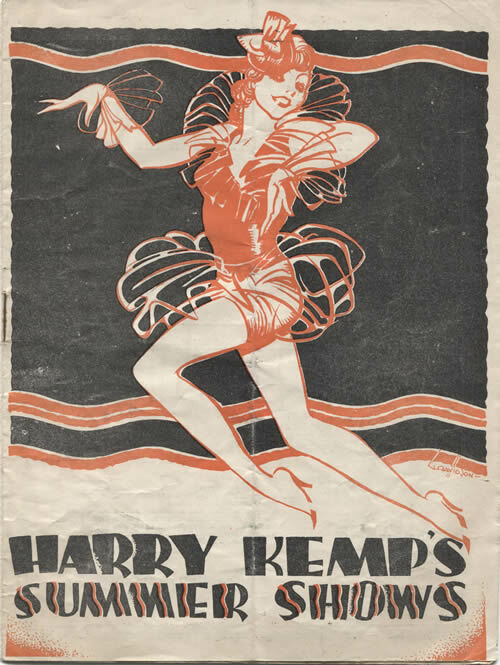 By the 1930s summer seasons at Clyde and east coast resorts offered holidaymakers polished revues such as Harry Kemp’s Scotch Broth and Sunny Joy shows at Saltcoats, Largs and Dunoon, Fyfe and Fyfe’s famous Rothesay Entertainers on Bute, and the Popplewell’s Gaiety Whirl shows in Ayr. 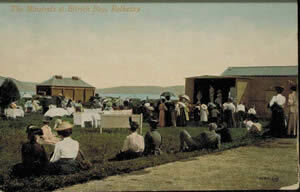 Harry Gordon honed his songs and sketches set in the fictional small town of ‘Inversnecky’ while running his famous company at Aberdeen’s Beach Pavilion. 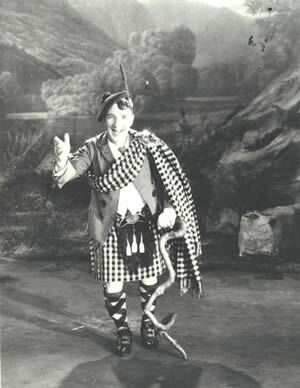 Pantomime was also a major showcase for Scottish variety. 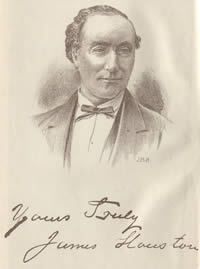 For large-scale scenic spectacle there were lavish productions at major theatres and at Glasgow Alhambra, where Harry Gordon starred for 16 years, the best of them opposite Will Fyffe. But local theatres offered distinctive performing traditions for loyal audiences: in Glasgow performances of the famous Royal Princess’s pantomimes, which launched the career of Tommy Lorne, and subsequently starred George West, sometimes lasted for four hours, in productions that ran from December to April or May. 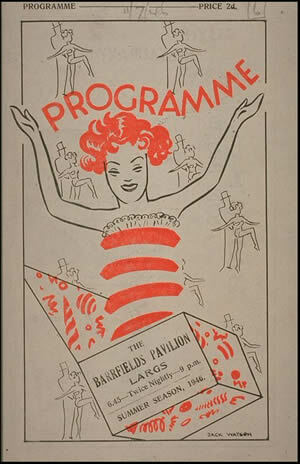 Riotous spectacles that combined musical numbers and elaborate comic sketches, the Princess’s shows were only exceeded by the gallus pantomimes at the small Queen’s Theatre at Glasgow Cross, which starred Doris Droy and Sam Murray, and where the risqué, innuendo-laden scripts eventually led in 1937 to prosecution by the Lord Chamberlain’s office. 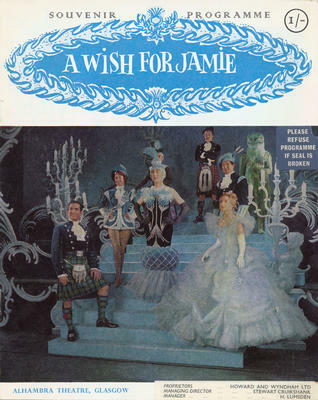 A combination of tartan Winter Show and the Highland Glen scene often included in upmarket pantomimes was provided by A Wish for Jamie, Howard and Wyndham’s new ‘all-Scottish’ pantomime produced at the Alhambra in 1960. A vehicle for Kenneth McKellar, it proved a huge success, playing to 240,000 in its first season and leading to two ‘Jamie’ sequels. 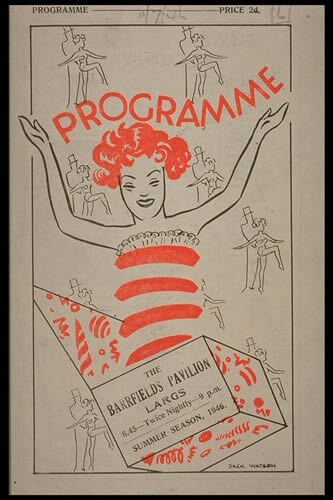 But while Stanley Baxter, Rikki Fulton, Jimmy Logan and Johnny Beattie, and emergent female stars such as Una McLean and Dorothy Paul, were all products of post-war variety, the impact of television and the decline of Scottish resorts led to erosion of the year-round employment that provided the basis for its success. 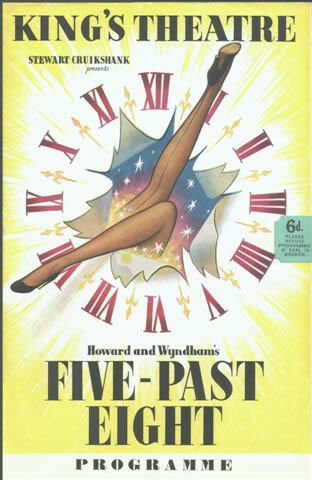 A paradox was that at a time when theatres were closing everywhere, the leading Scottish production company Howard and Wyndham was enjoying great success with its spectacular Five Past Eight Shows at the Glasgow Alhambra from 1954. 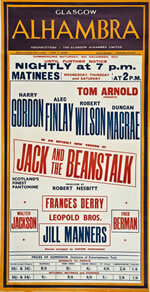 Fast moving and brilliantly designed and staged, they were unrivalled in Britain and enjoyed enormous popularity with the Glasgow public, their audiences at the Alhambra reaching 401,000 in 1960, although financial problems brought their end later in the decade. 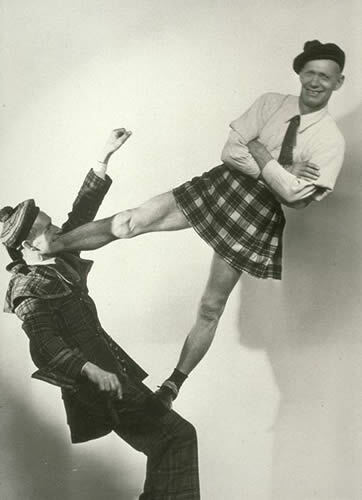 As theatres closed and variety continued to decline into the 1960s, Stanley Baxter moved on to produce award-winning television sketch shows, while Rikki Fulton and Jack Milroy achieved their breakthrough television success in Scotland in 1962 as the Glasgow teddy boys Francie and Josie. 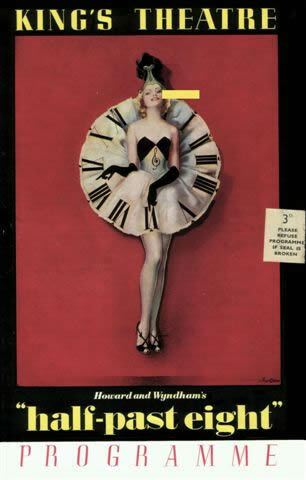 Between television and live appearances, Baxter, Fulton and Milroy continued to appear in pantomime until the early 1990s. ____, ‘Wha's like us? 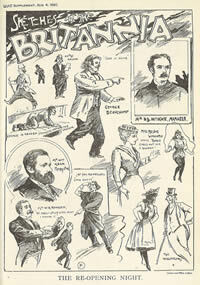 Ethnic representation in music hall and popular theatre and the remaking of urban Scottish society,’ in Ian Brown, (ed.) From Tartan to Tartanry. Scottish Culture, History and Myth (Edinburgh, Edinburgh University Press, 2010), pp. 129-150.